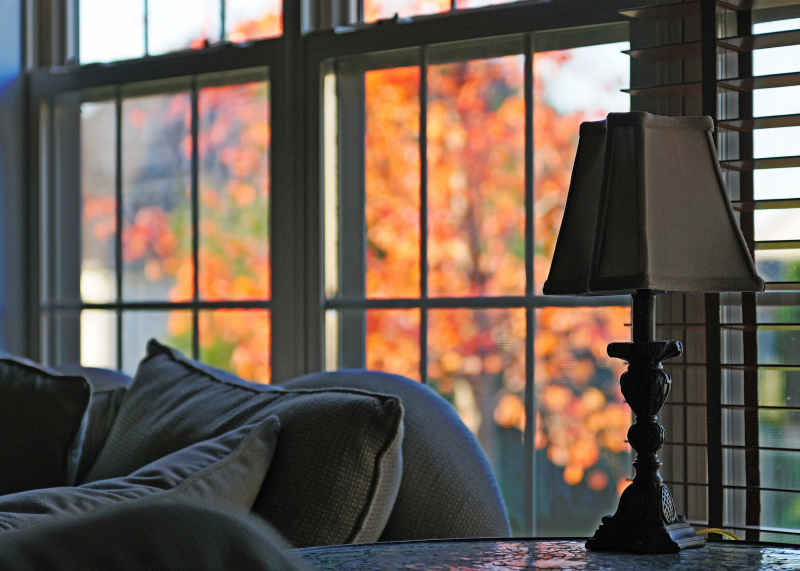 From the family room, you can see the red maple outside the window. I blended two exposures of the same RAW file, one processed at +2EV, one at 0EV. Makes me appreciate how my brain is able to process what it sees - because this final image comes fairly close to what I saw. I LOVE your view! Maybe someday (when we finally finish all our remodeling) I can work on my landscaping. A few maples out front are very high on my list. ;) BEAUTIFUL!